Over the past 20 years, Somalia has endured violence, political instability and environmental and economic shocks resulting in acute hunger and malnutrition. Most state services ceased in the 1990s, impacting education, health and food production. Famine was declared in 2011 — 285,000 lives were lost. Since 2012, Somalia has slowly emerged from a “failed” to a “fragile” state with the establishment of the Federal Government of Somalia. In 2013, the government and the international community endorsed the New Deal for Somalia, aiming to rebuild the country, stabilize institutions and develop the federal state. The achievements to date are mixed as many political, social and economic challenges remain. After three consecutive seasons of poor rainfall, the country is once again seeing near total crop failure, widespread shortage of water and pasture, increased livestock deaths and continued increase in local cereal prices. This crisis could affect a much larger proportion of the population than the famine in 2011. Some areas are still out of reach, and needs are extremely high. 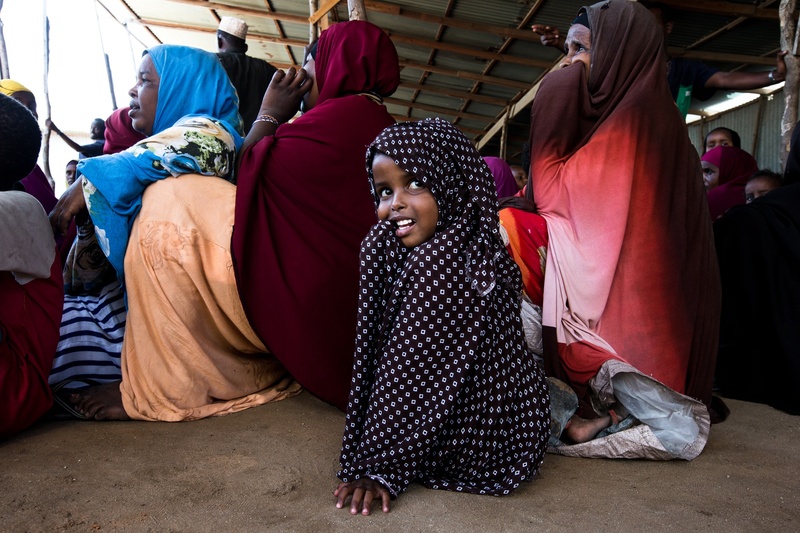 In 2015, WFP re-opened its Somalia office in Mogadishu for the first time in 20 years. WFP aims to address basic food needs, strengthen coping mechanisms and support the country’s efforts to achieve food security. Since 2015, WFP has used SCOPE in Somalia, a platform for electronic management of all types of assistance paired with biometric registration, enabling a faster response to changing needs. Providing lifesaving curative and preventive nutrition to children under age five and pregnant and nursing mothers, as well as targeted behavior change communication aimed at tackling the underlying causes of nutrition insecurity. Providing food to the most vulnerable people in drought-affected areas of northern and south-central Somalia and, where markets are functioning, cash-based assistance in the form of food vouchers or e-cards. Working with local authorities to provide daily school meals to primary school students and nutrition assistance to malnourished clients with HIV and tuberculosis. With the end of the rainy and hunger season — the time of year when the last harvest runs out — and the deteriorating food and nutrition situation, WFP will continue to scale up its response. WFP is partnering with UNICEF in response to a cholera outbreak. To fight the waterborne bacteria, the organizations are providing patients with unconditional relief assistance. Although food and cash are distributed in more places than before, access for aid agencies is limited to some of the worst-affected parts of Somalia. WFP is continuing to use planes, helicopters and other transportation to move emergency food for a rapid, comprehensive response. Since the beginning of the drought response, as of mid-August 2017, the agency has airlifted almost 4 million pounds of food to various locations in southern Somalia.